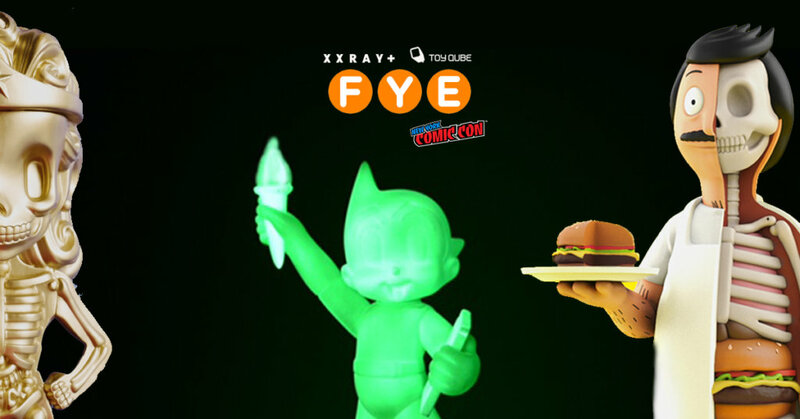 An exclusive limited edition 10” vinyl figure reimagining the iconic character as the Statue of Liberty holding a tablet engraved with Astro Boy’s birthday. FYE is proud to present XXRAY 10″ Gold Wonder Woman from Jason Freeny. The amazing Amazon stands at 10″ tall, featuring a unique dissection. Designed exclusively for FYE by artist Jason Freeny. Marvel 10th Anniversary exclusive products including a commemorative t-shirt, sock set, blanket, and New Era cap, plus a few surprises to be found at the FYE Booth. 4-7 Oct at FYE Booth #622 at the Javits Center in NYChttp://www.newyorkcomiccon.com. Look out for online sales details for collectors who cannot make it to NYCC 2018.